One of the most exciting #1 issues this summer isn’t the start of a new series, a prestige miniseries, or a major crossover event; it’s Marvel Rising: Alpha #1. This one-shot issue picks up plot threads from a Free Comic Book Day issue and prepares readers for two future issues that will feature similar characters and a consistent tone. 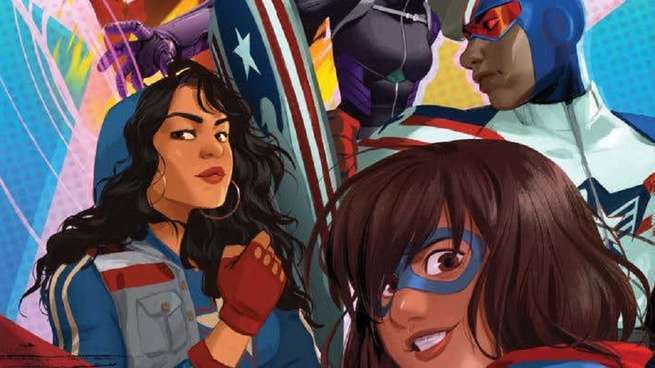 However, each issue in the “Marvel Rising” collection manages to stand on its own as they showcase a lineup of Marvel Comics’ most exciting new characters and brands across the summer months. It may not be the standard pitch for a #1 issue, but it’s one that superhero comics fans of all stripes should pay attention to. 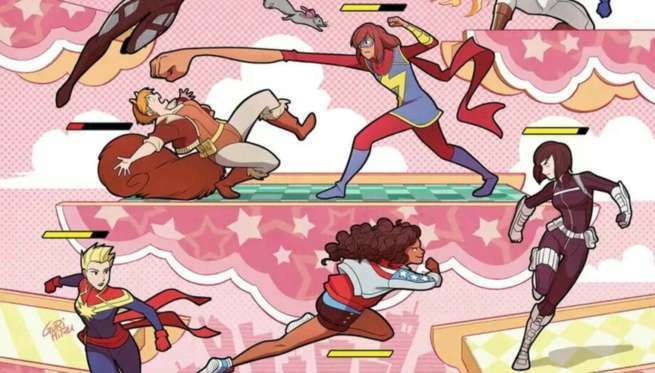 The core of Marvel Rising: Alpha #1 is the first ever teamup between Ms. Marvel (a.k.a. Kamala Khan) and Squirrel Girl (a.k.a. Doreen Green) in continuity. This pair of charismatic, young heroines have been essential elements of the Marvel Comics publishing line for the past several years and their new adventure together lays the storytelling foundation for the future. There may be no need to worry about worlds living and dying, but rest assured that nothing will ever be the same. If you haven’t already picked up a copy of Marvel Rising: Alpha #1, here are 10 big reasons why it is essential reading this summer. The central attraction of Marvel Rising: Alpha #1 has to be the two heroes who are front and center on the cover. No pair has had more of an impact on the direction of Marvel Comics recently than Ms. Marvel and Squirrel Girl. We will get into more of these reasons later in the list, but the most important element is that they push the boundaries of what superhero comics can be. Ms. Marvel has reinvented the wheel when it comes to teen superhero comics in a series without a single dud issue. 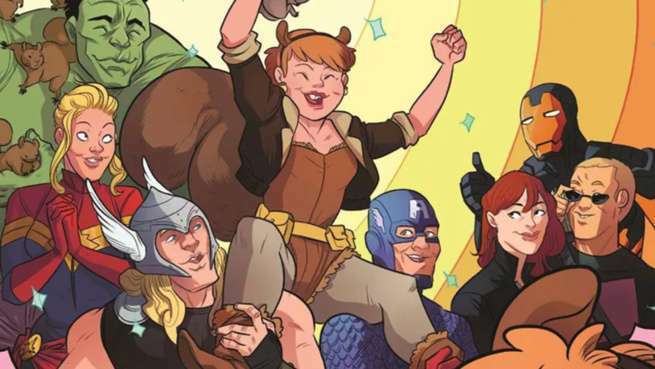 The Unbeatable Squirrel Girl has set the bar for comics that are actually fun and sometimes surprisingly educational. They are the best of the best when it comes to two-dimensional all-ages entertainment, and it only makes sense to have them take leading roles at Marvel Comics. So many new series and events tout high concepts that struggle to top the stakes of Crisis On Infinite Earths or invention of The Multiversity. Marvel Rising: Alpha #1 understands that going bigger isn’t inherently better though. The beauty of its concept lies in simplicity. A teamup between Ms. Marvel and Squirrel Girl plays on the strengths of both characters while offering something new with revelations of secret identities and combined strategies for problem solving. It doesn’t take a genius to know this pairing can’t be beat. One other element fans have come to expect from summer events and special issues is a sense of seriousness. Character deaths and seismic changes have become the standard for special new superhero stories, and all of that seriousness can become a drag. Marvel Rising: Alpha #1 focuses on the fun of superhero comics though. It embraces the joy of watching two great people work together and adventure of new challenges in need of overcoming. In a world that could use a few more smiles, this is a comic book aimed to deliver just that. All of these elements are bound to attract new readers to local comic book stores as well. While Marvel Comics has a reliable base for characters and series that have been around for decades, Ms. Marvel and Squirrel Girl have captured the attention of a new generation through their own comics and cartoons. These excited, young readers are bound to be interested in the first ever comics team up between the pair and bring a much needed infusion of vitality into local shops. There’s always room to grow and this is one excellent opportunity. Marvel Rising: Alpha #1 returns a writer who has been absent from Marvel Comics for many years: Devin Grayson. 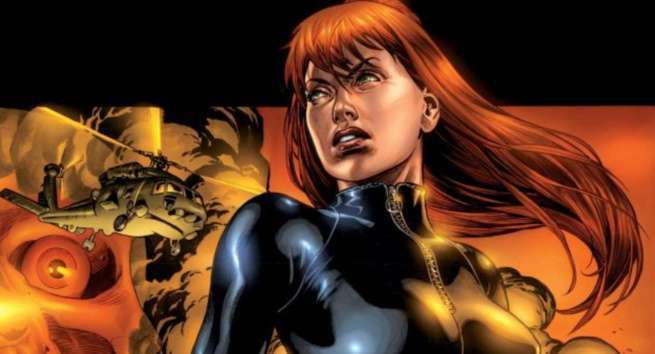 Her best-known work at the publisher must be a collection of stellar stories with Black Widow, but that’s far from her only work. Grayson has contributed to Batman, Detective Comics, Nightwing, and much more over the years. This new issue will give readers a taste of what they’ve been missing and possibly bring Grayson back to Marvel for future stories as well. Local comic book stores aren’t the only market likely to see increased interest from this new teamup. 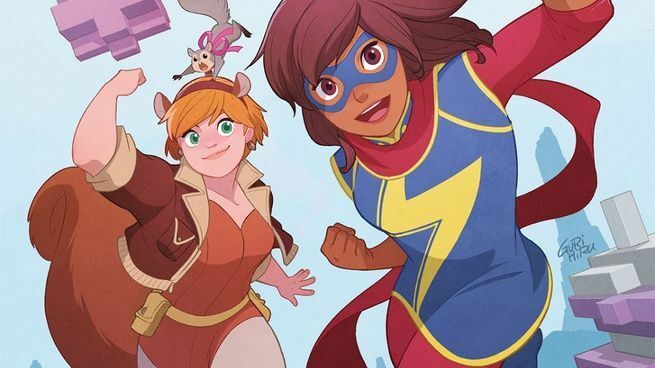 Ms. Marvel and The Unbeatable Squirrel Girl have become incredibly popular titles for adolescent readers in the book fair market, appealing specifically to a large audience of young women interested in comics. 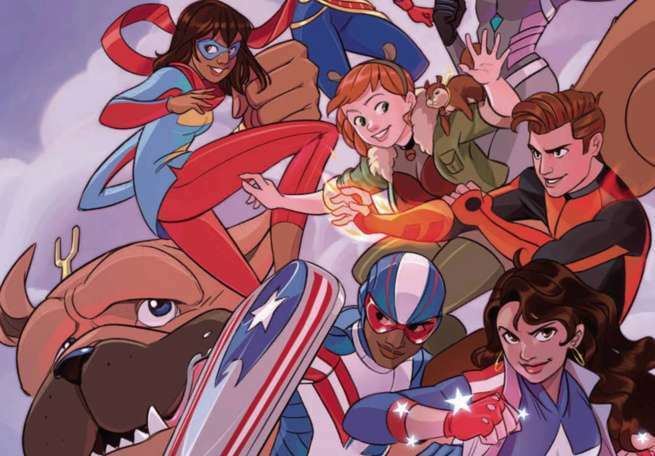 With their stories colliding, the eventual collection of Marvel Rising has a great opportunity to expand this readership. Georges Duarte is showing off his artistic chops for more comic book readers than ever before in Marvel Rising: Alpha #1, and it’s a well-earned opportunity. 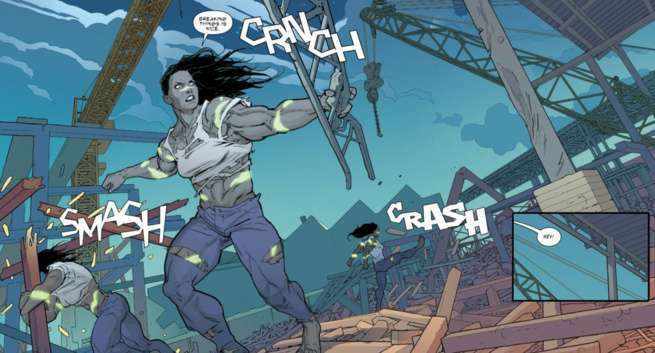 His recent contributions to She-Hulk showed a style that blended cartooning familiar to readers of The Unbeatable Squirrel Girl or Ms. Marvel with Marvel Comics’ more familiar house style. Exaggerated forms and big action ran up against familiar emotional registers and realistic backdrops. That makes this artwork a great fit for a comic book that could potentially appeal to every Marvel fan. While Marvel Rising: Alpha #1 isn’t bragging about Doctor Doom, it’s much more interested in big challenges than big names. 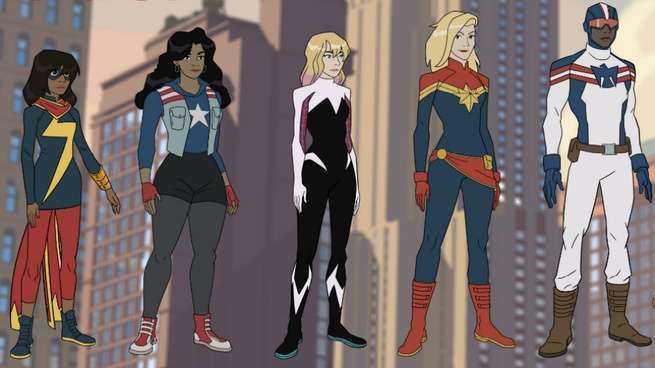 A defining characteristic of its heroes has been their ingenuity in the face of unique problems, and it’s this sort of conflict that will make Marvel Rising a success. Readers should expect more than the typical beat up the bad guy drama when Ms. Marvel and Squirrel Girl get in the same room. 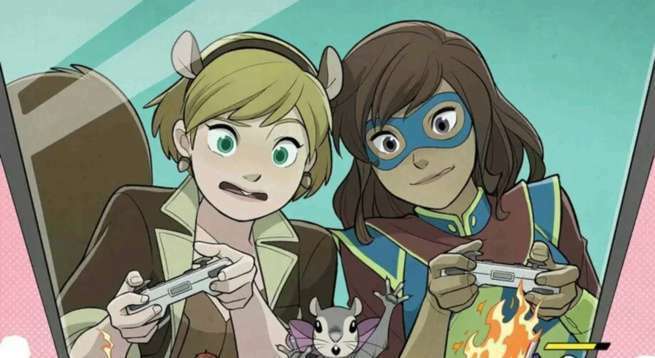 There’s more to the pages of Marvel Rising: Alpha #1 than just Ms. Marvel and Squirrel Girl too. The event promises appearances from lots of other rising stars like America Chavez and Spider-Gwen. While this central pair represent the best examples of Marvel’s trend towards youthful, energetic storytelling, there’s a massive cast to support these stories -- including a very special dog named Lockjaw. All of these various ingredients add up to make one fantastic new landscape for the future of Marvel Comics. Even while classics like Fantastic Four return, it’s clear that the publisher isn’t relying on old tricks. 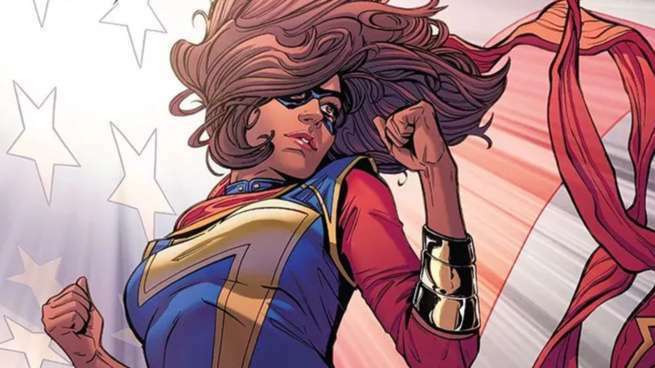 Ms. Marvel, Squirrel Girl, and all of their allies represent both a new wave of heroes and readers, essential elements to the success of superhero comics. Seeing this pair together for the first time is exciting for its own sake, but it also shows how much creativity and imagination are left to be found within the House of Ideas. That’s why Marvel Rising: Alpha #1 is an essential event for 2018.